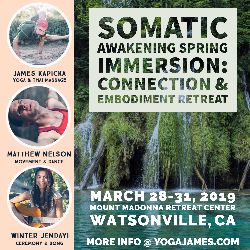 Enliven your body and rejuvenate your spirit with 4 days and 3 nights of embodied presence at the Mount Madonna Retreat Center in the majestic redwoods of the Santa Cruz Mountains. 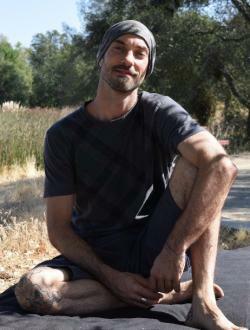 Cultivate authentic movement and freedom in your practice with daily yoga, dance, breathwork and meditation. Create space for freedom, spontaneity and self healing through somatic awareness. 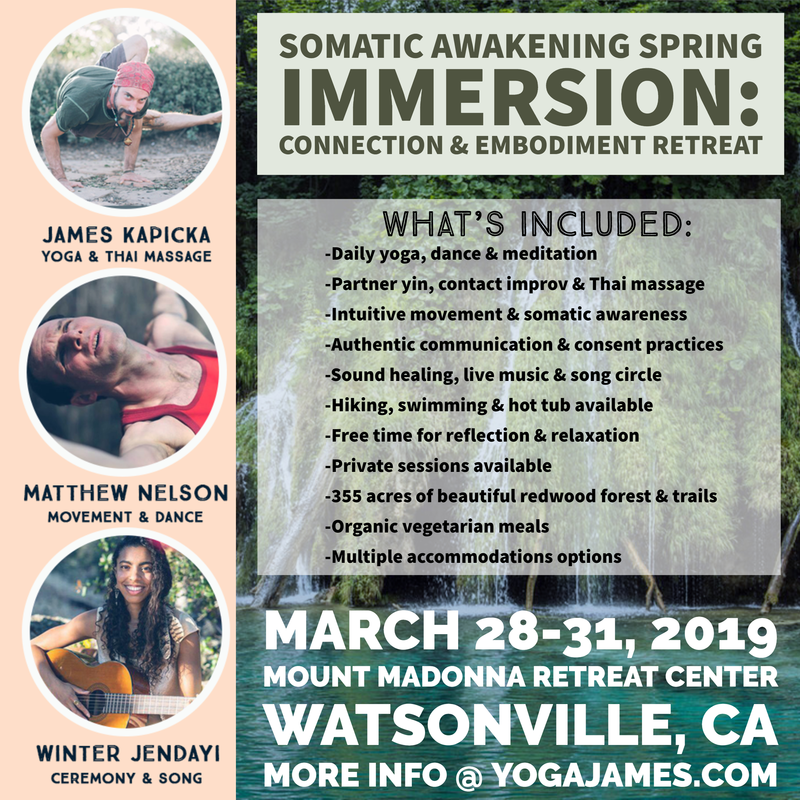 Explore connection while staying fully yourself through partner yoga, contact improvisation and Thai massage. Above all, embody the knowledge that you are whole exactly as you are, playing and practicing for the joy of experiencing your vitality. Enjoy free time soaking in the hot tub, swimming in the pond or strolling along the 355 acres of lush forest. 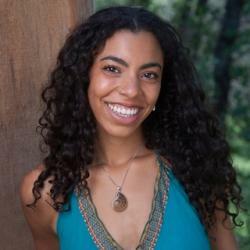 Nourish your body-temple with delicious organic, vegetarian meals, and engage with your soul through time in nature and space for quiet stillness. Find your level of comfort with multiple accommodation options: bring your own tent, stay in your vehicle, bunk with a friend or take solace in a private room. Invite inspiration, joy and light in your life by allowing movement, music and community to move you, and embracing the natural transformative rhythm of springtime!